Spelunky 2, the sequel to the critically acclaimed game by Derek Yu, has released its first gameplay trailer. The new trailer shows off a whole variety of new features, including new characters, liquid physics, and more. Spelunky 2 takes place some time after the events of the original game. The original protagonist has hung up his explorer’s fedora and started a family. Now, his daughter Ana Spelunky is going to the moon in search of treasures. The trailer also introduces a few of the characters available in the new online multiplayer. We’ve got Margaret Tunnel, the daughter of the first game’s Tunnel Guy, the bearded Colin Northward, and Roffy D. Sloth, a surprisingly agile anthropomorphic sloth with an immaculate pompadour. Each level will have a second layer that you can go back and forth between. Sometimes the entrance is right there and sometimes it’s a hidden shortcut. Even though the gameplay is still 2D platforming, this adds a feeling of a third dimension to the exploration. Another notable feature in the game is the addition of mounts. The mounts look like they function similarly to Yoshi from the SNES game Super Mario World. Right down to the ability to get an extra jump by dismounting them, consigning them to the tragic fate of falling into lava or a bottomless pit. 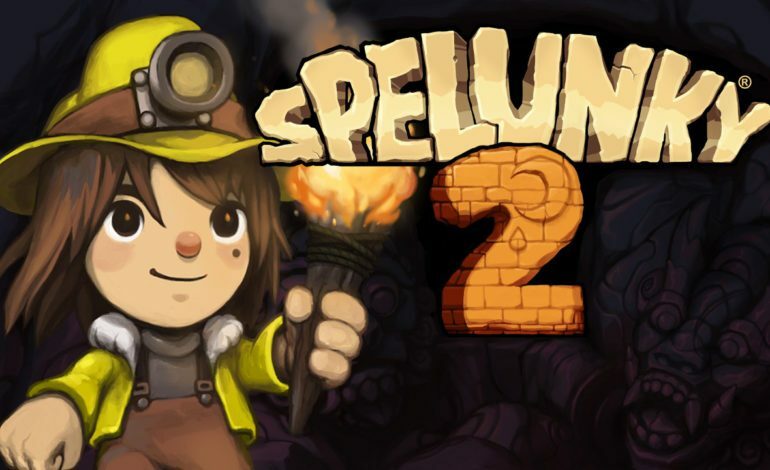 Spelunky 2 will release sometime in 2019 for Steam and the PlayStaion 4.